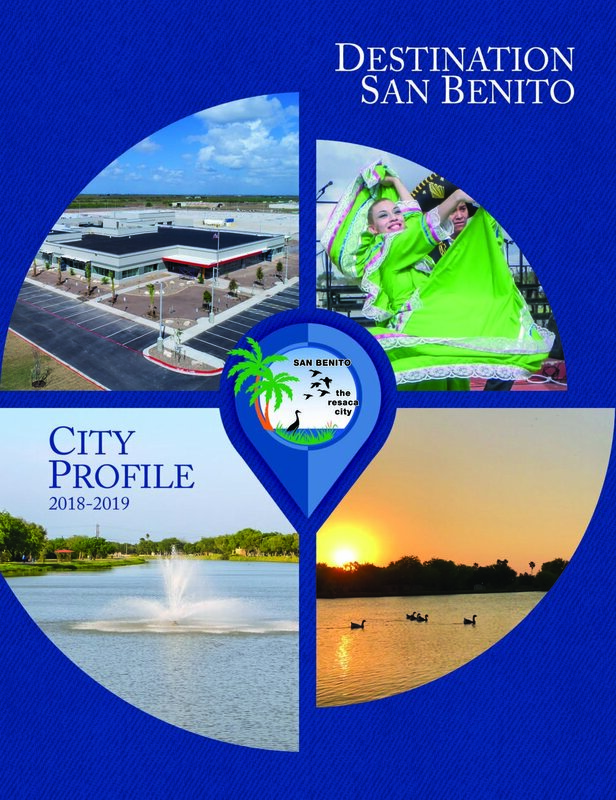 The City of San Benito has released its 2018-2019 City Profile. Visit cityofsanbenito.com to view the publication, or stop by the Municipal Building for your copy. The Spring 2018 edition of Our Hometown San Benito Community Magazine contains articles pertaining to the businesses and residents of the City of San Benito. A copy may be picked up at the Municipal Building located at 401 North Sam Houston Blvd or the San Benito Chamber of Commerce, or click here to view electronically. The San Benito Economic Development Corporation is dedicated to cultivating the continued economic progress and growth of the city of San Benito, Texas. The SBEDC provides support and assistance to create sustainable economic growth for San Benito and enhance the quality of life. We welcome you to discover fresh opportunities to invest, work, live and relax in beautiful San Benito, Texas. SBEDC regular board meetings are held the 3rd Thursday of every month.